How to optimize your website freely–Quick Guide? It is quite a long time we are happily writing some of the most searched topics on the web and we are excited to think that you are reading our posts. In today’s entry, we are going to talk about a very important topic – what if you don’t have money and still want to optimize your website? Just when you might think that it is near to hard task, just pause. If you are a good writer, and if you understand what search requires for a brand, to improve a website’s ranking, you can almost do some great optimization without having to work about any optimize. We’ll tell you how. Dominating a search engine’s top ten ranking is both a tough and easy task. Though, if you are over-confident yet inexperienced. Simple, if you are down to the basics and have had a fair understanding of how search algorithms work. If you are the owner of a website in the need to outperform your competitors as early as possible so that all the targeted audience drive to you for their requested service/product; you could think about hiring specialized search engine optimization services company. 1) The type of website you want to optimize. 2) The budget you have. 3) The number of keywords you initially want to rank for. 4) The volume of work expected from the part of the service provider. 5) The resources required optimizing. There are some other fronts for deciding on a logical quote, but the points mentioned are the most basic and important ones. If you can afford to hire an established SEO company to optimize your website, better! But what if you are a start-up or still a small company with relatively little revenue. If you are logical, and aptly defined about meeting a projected goal, you would not shy away from investing some money in early-stage promotion. But despite that, what if you are really tight on your budget and do not necessarily want to invest a good sum of your revenue paying for an SEO company? That’s when you might require the helping of free search engine optimization tips and tricks. 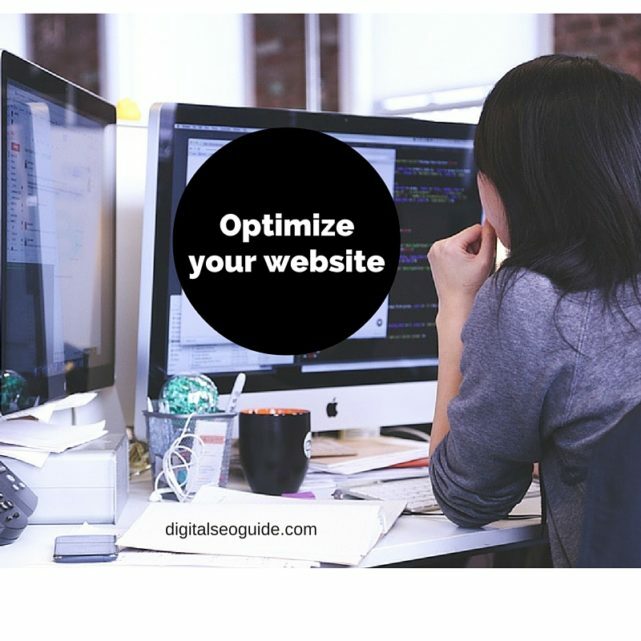 You would be amazed to know that despite paying anything to any service provider; you still can optimize your website yourself. All it requires is little understanding of your business, and how search works online. Anyone can do it. But we need to put a disclaimer here – before you stoop to read the tricks and tips; remember that these just early stage promotional tips. Once your website grows, and you start earning traffic, revenue; you would require advanced SEO optimization – a task best done by only experienced SEO companies. Hiring such a company should not a difficult at that stage gave if money is flowing in, you need to be prepared for investing to keep the momentum going. The tips mentioned are very simple, and they may not necessarily improve your website. Moreover, if you are doing these wrongly, you can earn a set of penalty from Google. So, use these with care. If you have any query, you can easily clear them off by searching them online or you can even ask us. You need to understand your keywords – keywords mean what your targeted audience is searching online to find product/services that you offer. You need to ensure who your target audience is – Know who your audiences are. Be specific about it. Anybody who visits your website is not your customer. But then some who don’t – even if they are ice-cold prospects – can convert into customers. These two important things are defined rules for starting off your website. 2 How to freely optimize your website after writing good content on the website? SOCIAL MEDIA. When it comes to searching for keywords, there are a good number of keywords search tools which you can find online at free of cost, the most important one being the Google’s keyword tool – it gives you a detailed list of important keywords according to your industry, audience, and type of optimization preferences. You can list out the most important keywords – less competitive but highly popular ones – and then take them noted. When it comes to getting a good variety of targeted keywords, you can even look at Google. There is a suggested search entry listed at the need for every Google search results. These are usually the keywords and search terms that your target audience type to find your competitors. You can list them in to improve your suggested keywords. There are paid tools as well for pinpointing improved analytics about your keywords, but since we are talking about free ways to optimize your website, we are not including it. It should have very good quality content. The content posted need to be on the website and elsewhere where it has relevancy. Your website should be designed and developed properly to load quickly. How to do your keyword research smartly. Tools and techniques to perform competitive keyword research Process. The smarter process of targeting the right keywords. If you can write content – we mean good content – you are actually a king. No need to invest anything for your website optimization as of now. Just take the keywords, think about great thematic topics which can be of great use, and then publish them. That’s it. When it comes to writing about great content, Google says, you should be solving your audience’s problems. A website with great content usually naturally and organically gathers traffic and ranks on SERP. So, if you ever heard anyone who says a website needs to be optimized properly and that content is not the only thing that can help it rank – they were actually not correct. Just think about it – If you are writing very good content and initially you gather to manage some viewers, it is very much likely that they are to visit your website and that they even recommend your website to others. So, even if you are no ranking; it is quite simple that you can gain an improved set of dedicated traffic. So, great content is important. It can itself pull your website ranking but we still recommend SEO to improve other avenues of your website. Being optimized in other ways improves your website to rank well on SERP. It actually improves your position. That’s it. So, the crux of the story is that if you want to optimize your website at free of cost, write great content. Now, what if you cannot write very good content? It is then important for you to look after other areas of optimization, which does not demand you to be a great writer. Manually visit websites and blogs who are of your niche – and then submit a request to them for a link. Perhaps the simple way to freely optimize your website using off page techniques is to manually let your presence virtually on the social media. OFF page SEO Checklist techniques 2015-2016 Detailed Guide. How to freely optimize your website after writing good content on the website? SOCIAL MEDIA. When we talk about social media promotion, we necessarily meant to say Facebook, Twitter, Instagram, Whatsapp etc. You can make a free profile on these sites and then start promoting your products on the websites. Social media is a great tool to reach out to your customers and promoting your product by intelligently talking about how you are different than others. There are a good number of brands which do not necessarily work on SEO, but by promoting their website and message socially, they get a number of traffic back to their websites. But in order to promote your website on the websites socially, you still need some sort of writing skills, which you can do easily. Just research your competitors and understand how they are inspiring their audiences. Taking a clue, you can even start updating these sort of updates until you slowly get the ideas. So, on the social media, you have a chance to learn and grow yourself. Once you are done writing a number of content on your website, start visiting the websites who are from your industry. Ask them to have links from you in lieu of their website. Link building naturally helps your website gets promoted on the web. 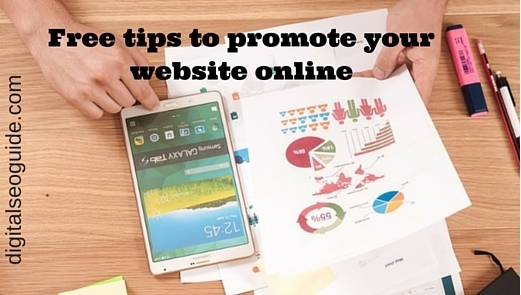 Other than these, you can even promote your website on free website promotion websites. The more quality inbound links you have and the number of quality content you write on your website usually improves your scope to optimize your website. You can promote your website on SERP by using proper variety. A good way to promote your website without having to invest anything to an SEO plan is to find keywords that your audiences are searching, understanding who your audiences are, devising a content strategy that works. Then writing down useful content that your audience can use. If your website is populated with a good of useful content, it is a fact that you organically receive an improved number of links and visitors to your website. Other than writing nice content that gets read, you should manually research websites that are of your niche asking them for a link. You need to even out up links on your website. Another nice way to promote your website is to do the social media optimize. Social media is done properly can help you gain an improved number of audience. To promote your website on the social media websites, you should be very articulated about defined. You can make a free profile on social media, research your audience and how people are working out. The idea to understand how things work socially is to understand how brands from your niche are working. By understanding what they are posting, and how they are posting to the audience can help you summarize your goals. So, social media has been an integral part to freely optimize your website. Before you work with the key ideas to promote your website on the social network, it is important that you are defined by your approach and that you know how and when to promote your website. The core things that we understand from this article is that you need not necessarily have to invest any money on your search engine optimization if you can write really great content. If your content marketing understanding works, you can save your money. You can freely optimize your website by manually writing and publishing great and usable content own website. Besides these, you even get to have links and if you do social media optimization, there literally is no need for you to invest any money on search engine optimization. Do you think we are apt from our view? Do you have ideas to promote a website at free of cost? If you have anything to say, please feel free to tell us. The search engine optimization techniques are changing with every single day and that webmaster is innovating an improved variety of tricks and tips to manually pull in SERP. But in this tough world of competition, if you are writing good content and promoting your content socially after understanding your audiences, and what keywords you need to optimize – it is a simple matter that your website can improve on its ranking. SEO Campaign: How To Get The Best Out Of Your SEO Efforts?